Joining the ServiceM8 Network is simple -- just configure your e-mail address, then turn on the ServiceM8 Network add-on. After you join the ServiceM8 Network, any Network Requests sent to your company e-mail address will arrive in your ServiceM8 Inbox ready to be converted into jobs. 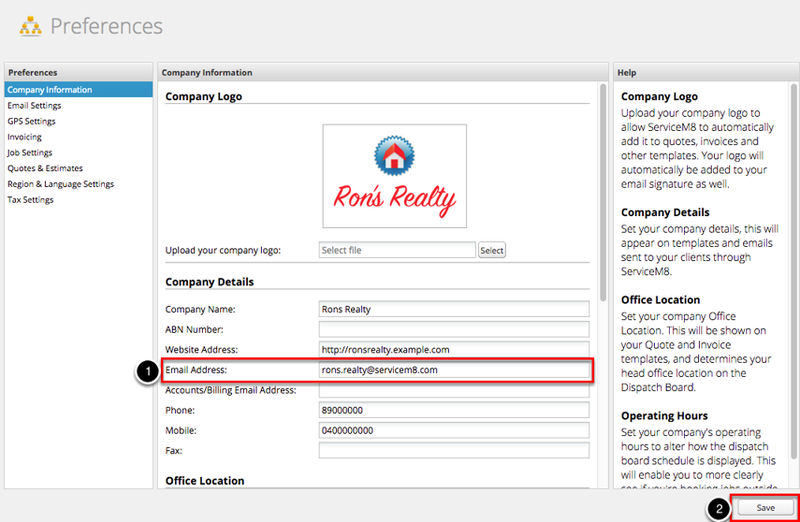 So the first step is to make sure that your company e-mail address is configured correctly. To do this, go to Settings > Preferences > Company Information, enter your email in the "Email Address" field, and click Save. Next, go to Settings > ServiceM8 Add-ons and scroll down to "ServiceM8 Network". Click the switch to turn it on. That's it! You're now part of the ServiceM8 Network. Make sure you inform other businesses you work with of the correct e-mail address to which they should send their Network Requests.